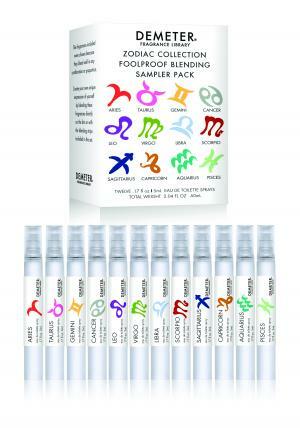 Capture the scents written in the stars, with our 12-piece Foolproof Blending Sampler Set. Each fragrance emphasizes specific traits, powers, and energy. Despite their complexity, all the Zodiac fragrances are also designed to be blended with each other in any proportion or combination, to create a customized Zodiac scent. So, have fun experimenting, and making custom fragrance combinations, using the signs of friends, or significant others - at a very special price. Twelve great fragrances to wear alone, or in in any combination or proportion, knowing the result will always be great.